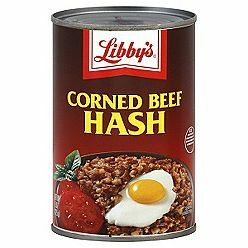 When I think of the word “hash” I hearken back to pink stuff that came out of a can with teeny tiny cubes of what I think were potatoes that my mother used to serve with eggs. Yeah…this isn’t that. I also have a bit of a problem when it comes to black beans. We buy cans of black beans by the case (yes I know I could do it with dry beans in my crockpot, but I haven’t gotten myself together enough to do that and properly store them.) I love that they are an amazing protein source that all of my kids will eat and be happy about it. 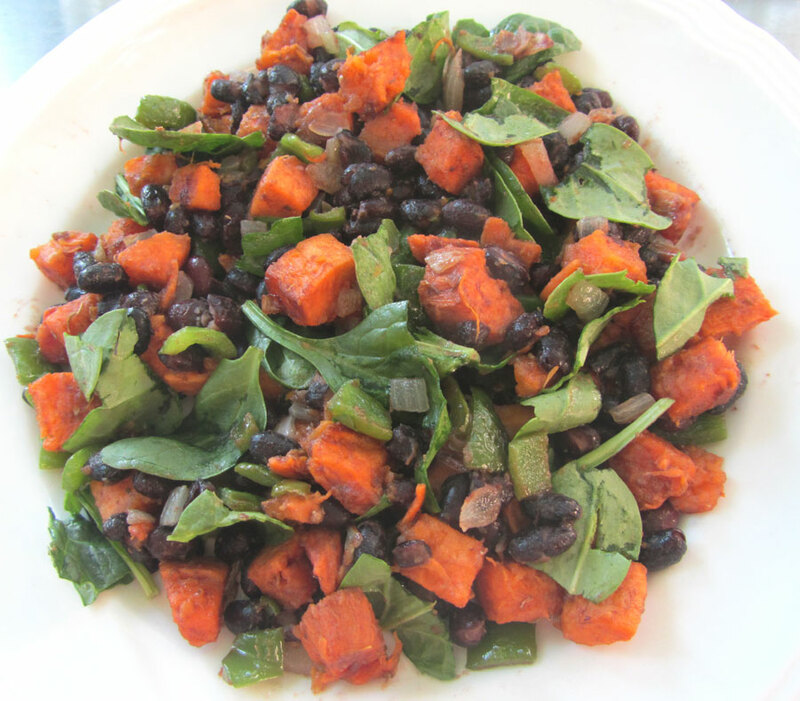 So it was a natural thing to bring sweet potatoes and black beans together for this dish. Then in keeping with my desire to add as many veggies to each dish as possible I threw some more in. 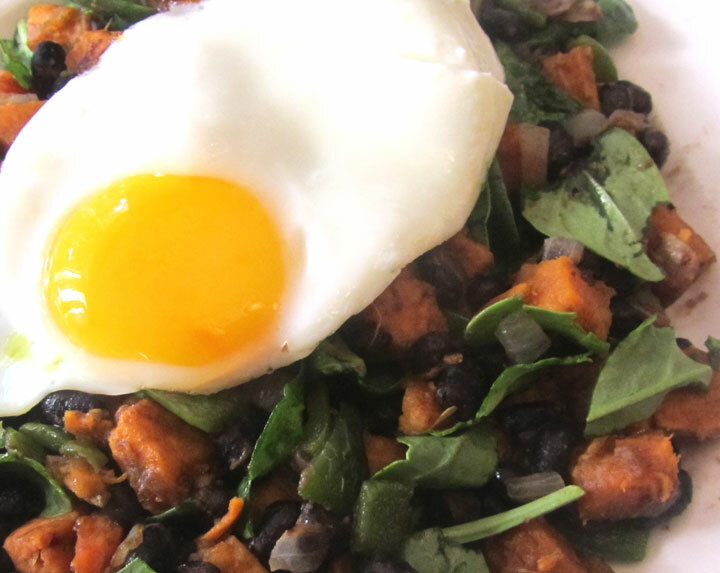 The result was an absolutely beautiful (and totally delicious) hash that I think you’ll love. Enjoy! 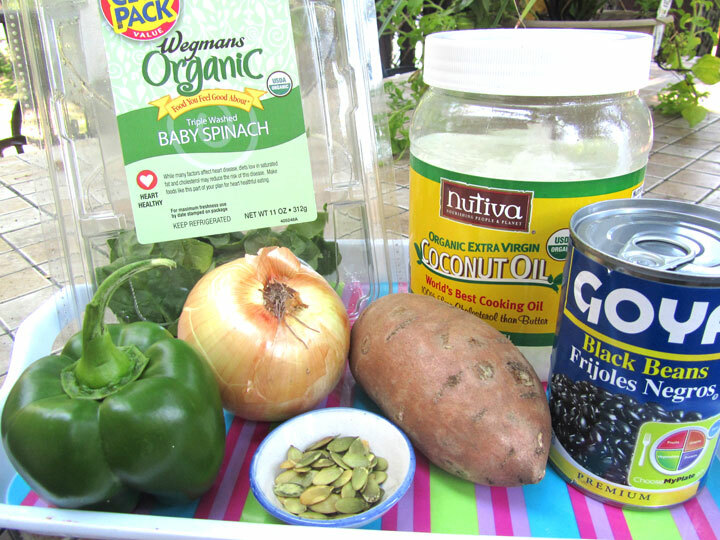 Melt the coconut oil over medium heat in a large frying pan. Add the chopped onion and bell pepper. Cook and stir over medium heat for about 5 minutes, or until fairly soft. Add the cubed sweet potato to the pan, and cook 2 minutes. Add the black beans to the pan, and cook 2 minutes more. Turn off the heat, and add the spinach leaves. Stir until JUST wilted. Place on plate, and sprinkle with pepitas. If desired, top with a fried egg.